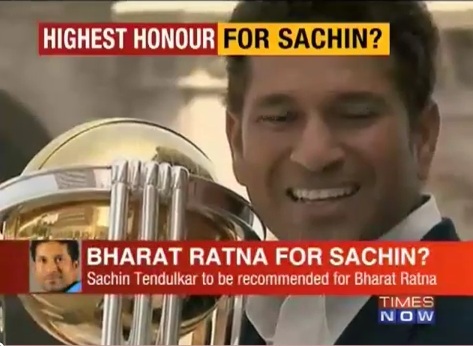 Cricket legend Sachin Tendulkar's name has been recommended for Bharat Ratna by the Prime Minister's Office. The run making machine of India and the rare jewel in Cricketing history Sachin Ramesh Tendulkar is the frontrunner for Bharatha Ratna Award for the year that is to be declared by Government of India today. This will be the precious possession for Sachin if he wins it and he would be another first as no other sportsperson has ever won this India’s highest civilian award. Other than Maharashtra Government and Shiva Sena; sachin tendulkar has got the strong backing from a number of politicians including Central Ministers. 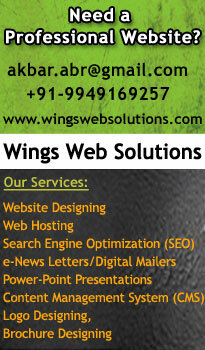 All of them have strongly recommended his name and the result will be out by today evening.